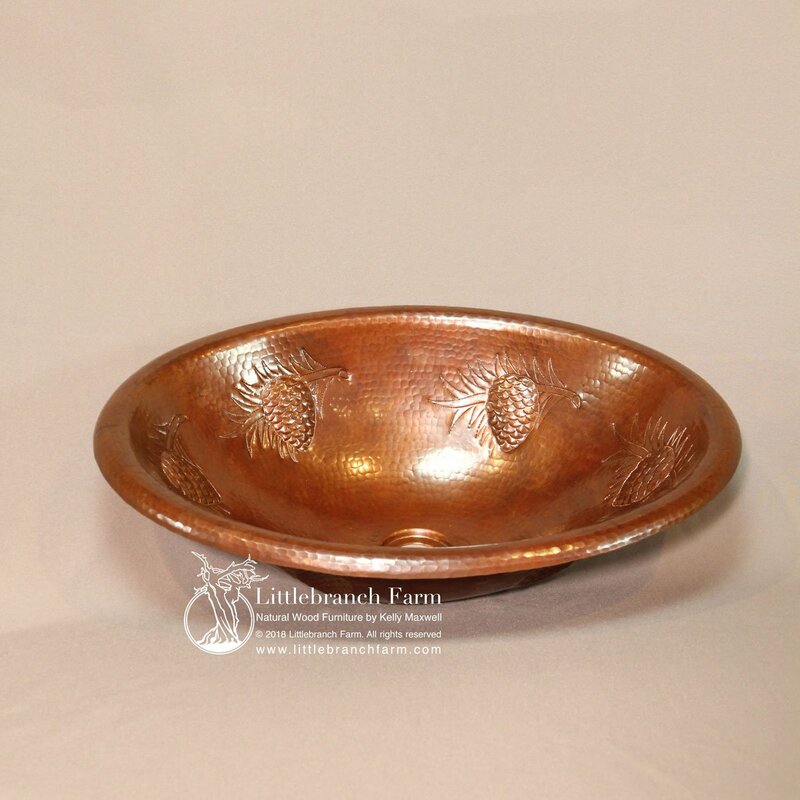 Pinecone hammered copper sink is 19″x 14″ under mount and top mount options. 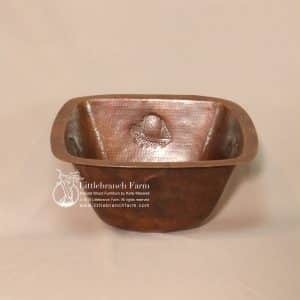 Pinecone hammered copper sink is perfect for rustic bathroom decor. It is also available in top mount and under mount sink options. 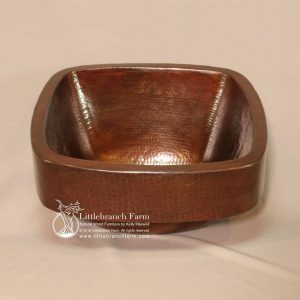 Also, round and oval sinks with a single pinecone and double pine cone design. 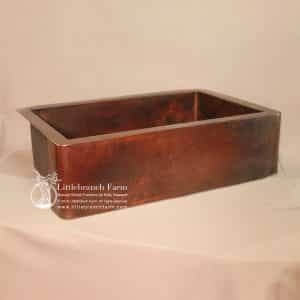 The natural copper patina looks great with wood countertops and rustic tree stump vanities. While the round under mount sink also doubles as a bar sink. 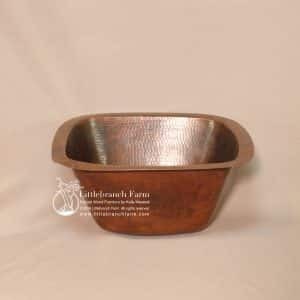 Approaching rustic decor can be daunting as rustic is loosely defined as simple or unsophisticated. So rustic is in the eye of the beholder. Whether farmhouse, barn wood, or log the options are wide open. But one thing stands true natural wood furniture is all-inclusive.